For the first time ever, Samsung today announced no less than four different high-end Galaxy S phones in one event. However, only three of them will be available to buy in the immediate future in the US: Galaxy 10e, Galaxy S10, and Galaxy S10+. The fourth model - Galaxy S10 5G - will be launched sometime later in 2019, initially only on Verizon. While the price of the Galaxy S10 5G hasn't been unveiled, Samsung is already sharing full details on the prices of its other three S10 smartphones, all of which have at least two different versions with varying amounts of RAM and storage space. With the Galaxy S10 series, Samsung is trying to offer something for everyone - well, everyone who can afford to pay over $700 for a phone. Make no mistake, regardless of the Galaxy S10 variant that you want, you're getting a very powerful phone, as all models sold in the US include Qualcomm's high-end Snapdragon 855 processor aided by plenty of RAM. But different configurations, sizes, designs, and extra (or missing) features all account for the fact that S10 prices vary greatly - from under $800 to over $1,500. At $1,599.99, the Galaxy S10+ with 12 GB of RAM and 1 TB of storage space will become Samsung's most expensive mass-produced phone to date*. For comparison, the company's most expensive handset of last year was the Galaxy Note 9 512 GB at $1,249. Even Apple's top-of-the-line iPhone XS Max 512 GB is cheaper than the S10+ 1 TB, costing $1,449. Granted, Samsung could try to justify the record-high price of its new smartphone with the insane amount of storage space that this is packing. We're not quite sure if there are any customers out there who really need 1 TB inside a phone, but that's another story altogether. All Galaxy S10 models (minus the S10 5G mentioned at the beginning of the article) will be available to pre-order starting tomorrow, February 21. You'll be able to get the new phones unlocked, as well as on Verizon, AT&T, T-Mobile, Sprint, US Cellular, Xfinity Mobile, and Spectrum Mobile. The official release date for the S10e, S10, and S10+ is March 8. Customers who pre-order a Galaxy S10 or Galaxy S10+ from February 21 through March 7 will get a free pair of Galaxy Buds wireless earphones (normally priced at $129.99), plus $50 off any official Samsung accessories. This will be available for both unlocked and carrier variants of the S10 and S10+. In case you're wondering, there will be no such pre-order gifts for Samsung Galaxy S10e buyers. In other words, if you want freebies, don't get the cheapest handset. If you have an older phone that you wish to trade in for a Galaxy S10 (regardless of model), Samsung will offer you up to $550 for it. Of course, trade-in values will depend on what old handset you are willing to exchange for an S10 - you can get the highest amount of money back only if you trade in a really valuable phone (think of the iPhone XS, Google Pixel 3, or Galaxy Note 9). * - The unique Samsung Galaxy Fold, announced at the same time with the Galaxy S10 series, will be even more expensive, costing a whopping $1,980. However, this phone will not be released before April 26. I’m honestly kind of worried to see what the Note pricing will be. It’s looking like it’s going to be at least $1100 or possibly even $1200 this year. I have to agree with you, Phil. As someone who carries a XS Max and a Pixel 2 XL, I'm excited to see what the Note has in store -- but after seeing what the S10 is taxing, I'm eager to know what a top tier Note will fetch. Galaxy fold is meh for the price. I will pass also on s10 and s10+. Going for the $750 s10e until note 10 comes out. Why do we always have to compare to Apple's pricing? Why won't you mention that OnePlus's flagship is cheaper? Because everyone targets apples “crazy high” pricing scheme. And because apple and Sammy are the top dogs when it comes to smartphones, well Huawei made it up there too but they ain’t cheap either. What Sammy brought to the table actually validates the price to some degree, unlike Apple majority of the time. It's around 10% cheaper than XS. 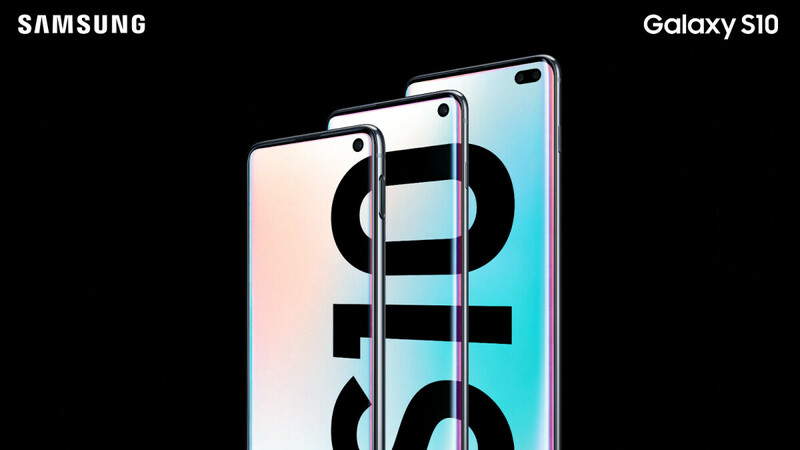 Compare S10 to XS, and S10+ to XS Max price..
Well, you do get way more for your money with a galaxy phone when compared to an iPhone. That 10+ price is a little choke-worthy, but carrying around a phone that powerful with a tb of fast, native storage in my pocket is intriguing. Got a ton of files, music, photos, videos etc I’d love to have at a moments notice. Here come the BOGOs in a few weeks. The market is telling phonemakers to adjust down in sales expectations if the pricing continues to trend upward. The question is do these phones have more than 2x the value or effectiveness of the S9/+? I'm thinking probably not. Samsung website lists the Ceramic 512gb with 12gb RAM at 1249.99. Wow, the prices in Australia are super inflated. I was going to recommend the 10e to a few mates in dire need of an upgrade but they'll be far better off with an S9. Australia always had crazy prices. I remember getting Nokia Lumia phones around 2012-2013 for $800-900 outright when they launched. Clearly Samsung doesn’t understand their own market. Apple won’t share sales anymore, but can Samsung give us sales of their Note 9 512gb model. What makes consumers that are going to buy anything over that. They are literally smoking something to think consumers will pay beyond $1200. Let alone they have inexpensive consumer models that are $100-$200 that they sell in their lineup that make up almost half of Samsung’s 2 billion sold.